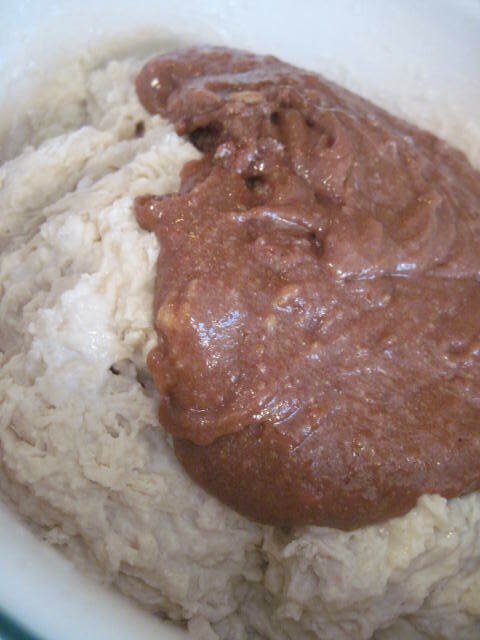 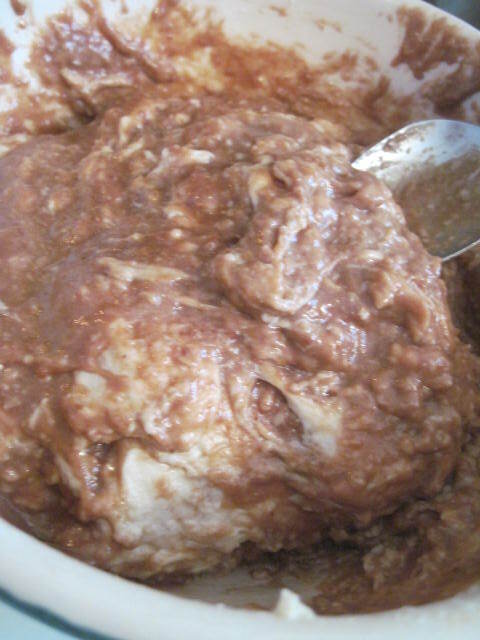 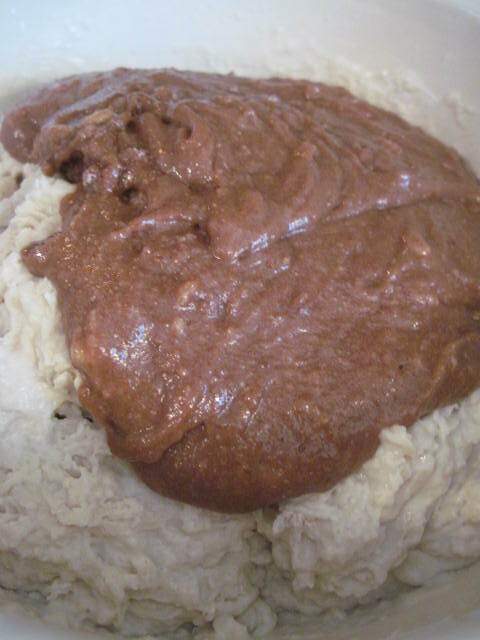 Stir the yeast into 1/4 cup warm water and let stand for 5 minutes to dissolve. 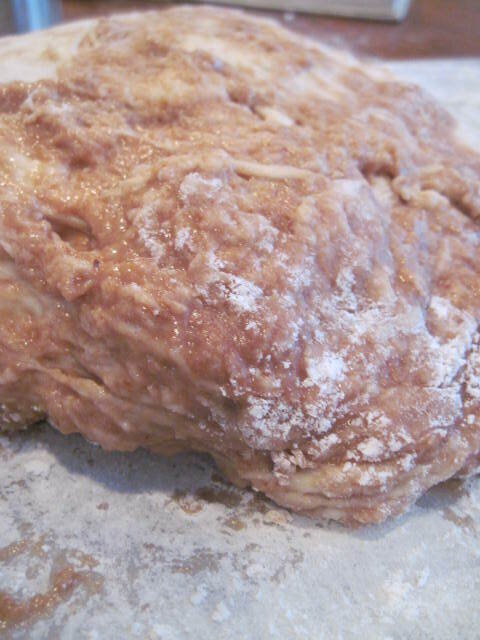 Add the dissolved yeast and 3 cups of the flour to the milk and blend well. 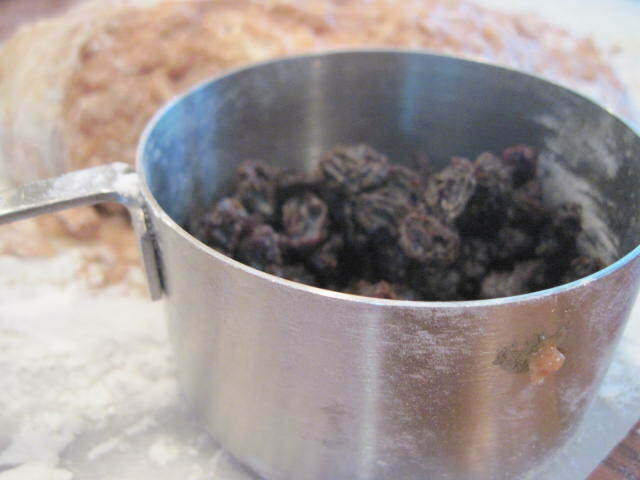 Cover and let rise in a warm place until light. 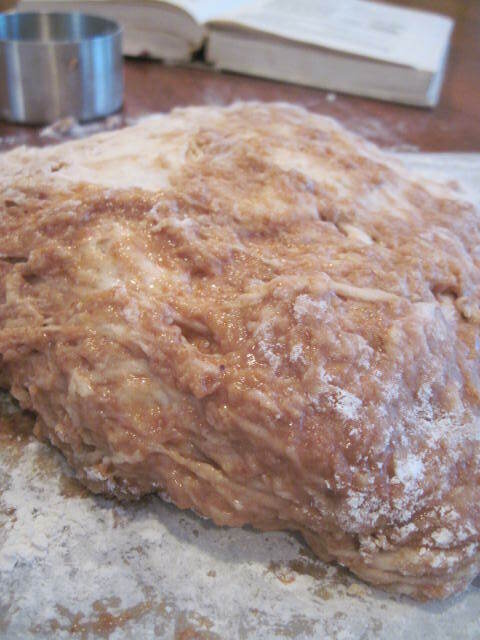 Add the granulated sugar, salt, cinnamon, eggs, butter, and 3/4 cup of the flour and blend. 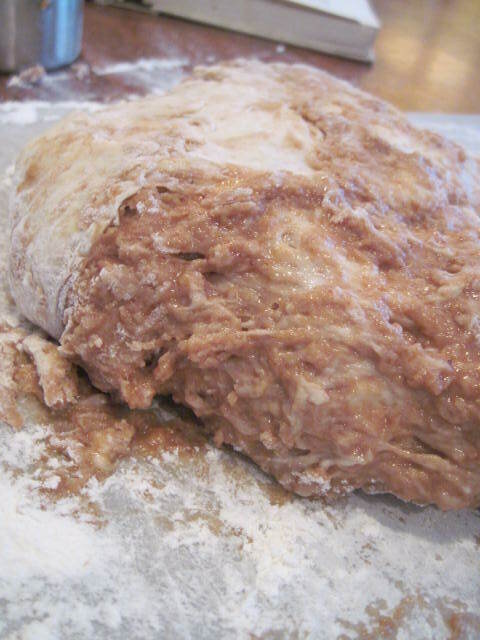 Turn out onto lightly floured board and knead gently, slowly adding the remaining 3/4 cup flour until the dough can be easily handled. 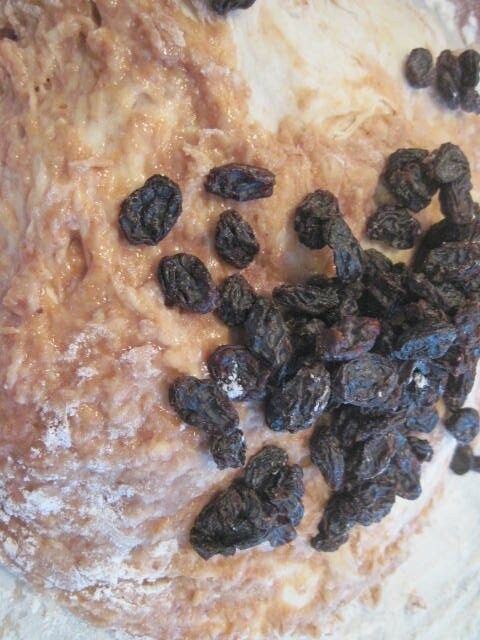 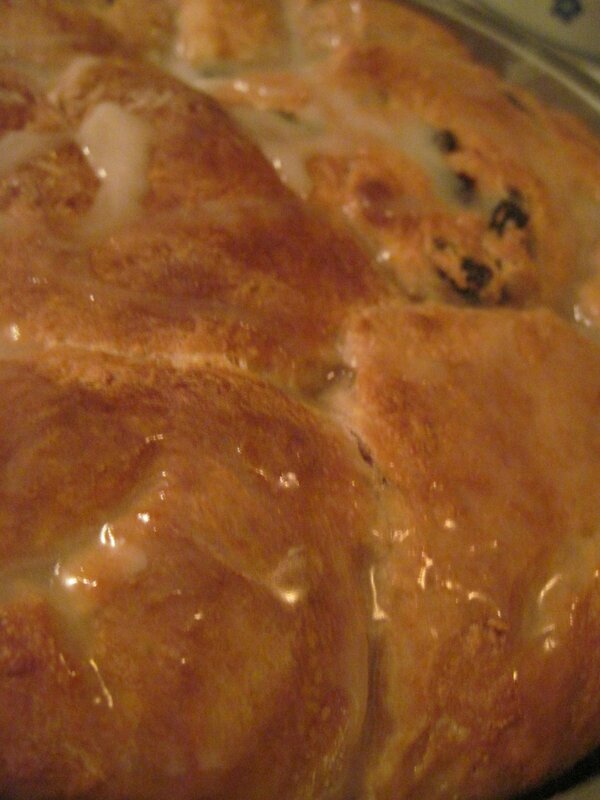 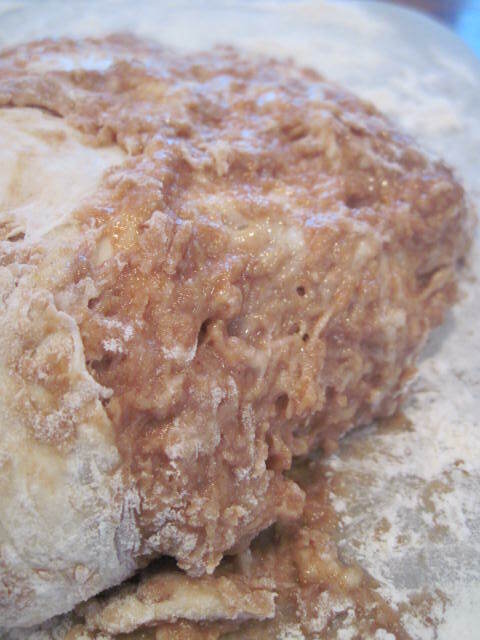 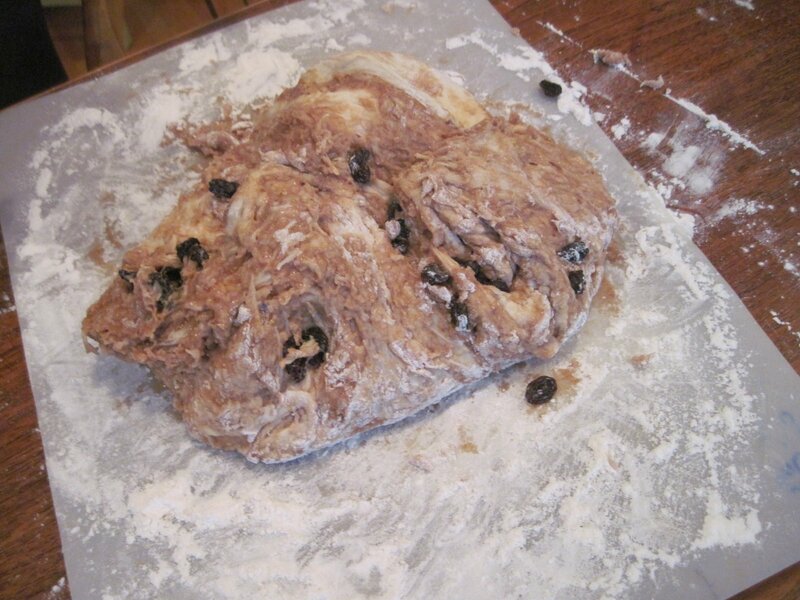 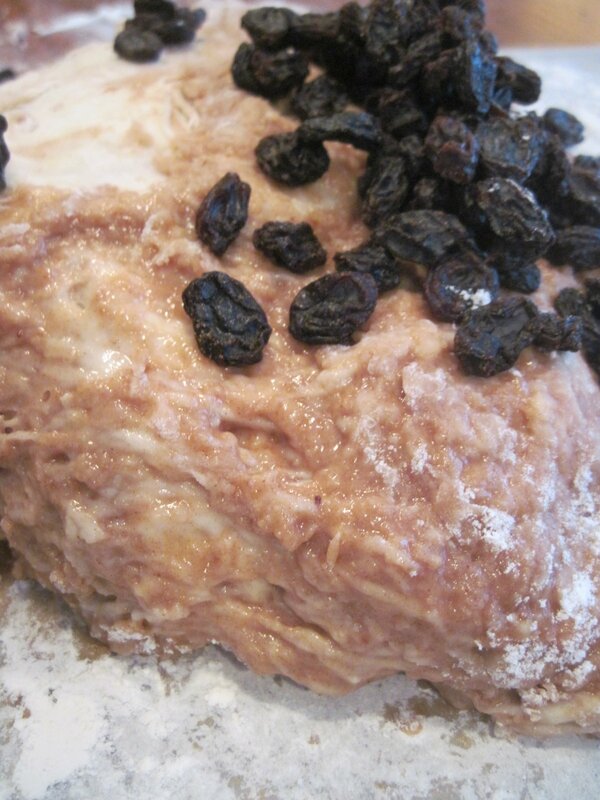 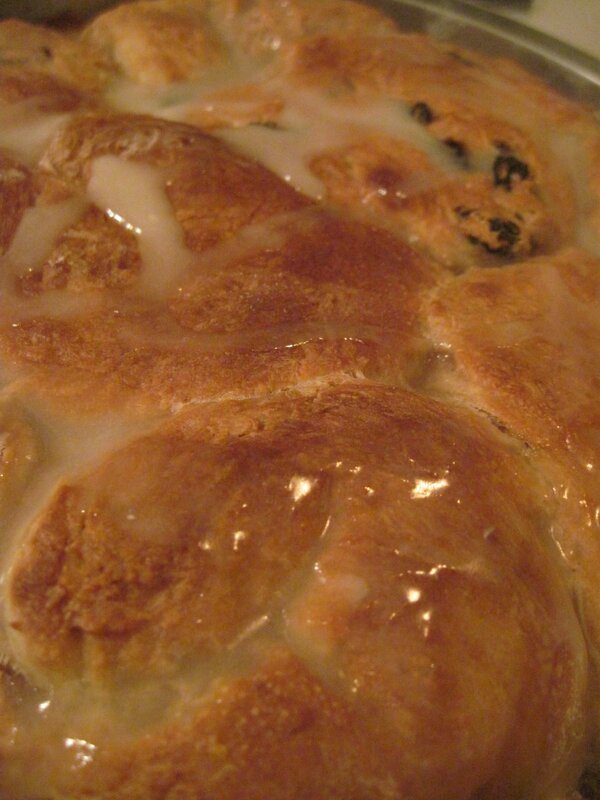 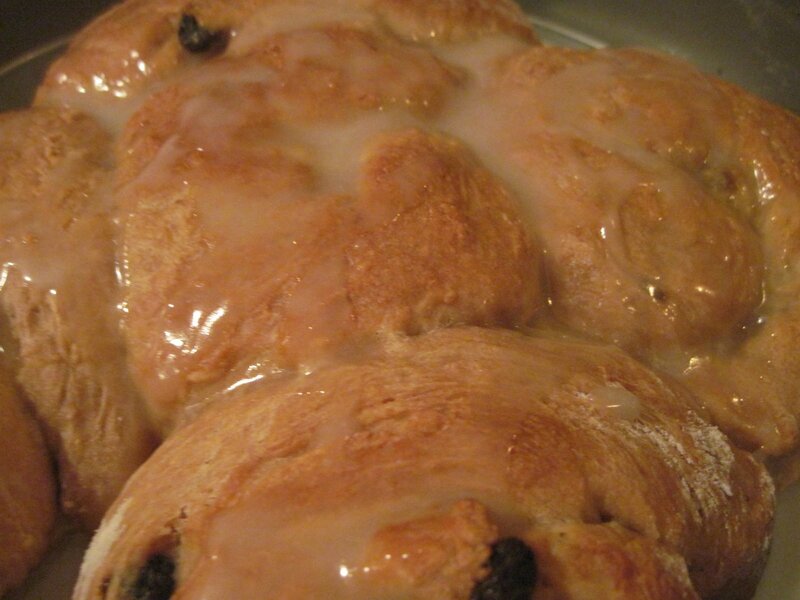 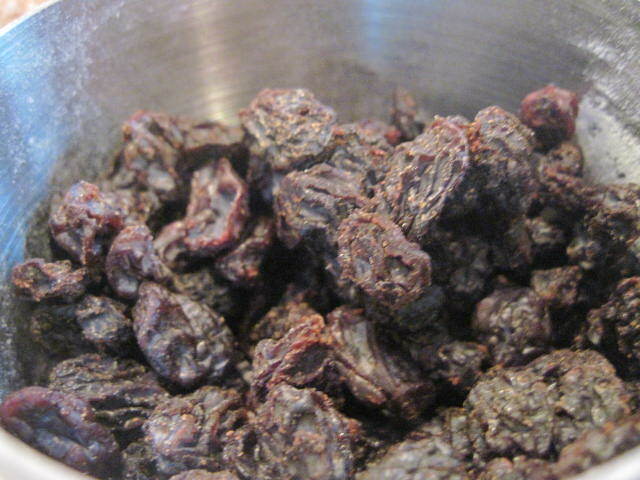 Knead in the raisins. 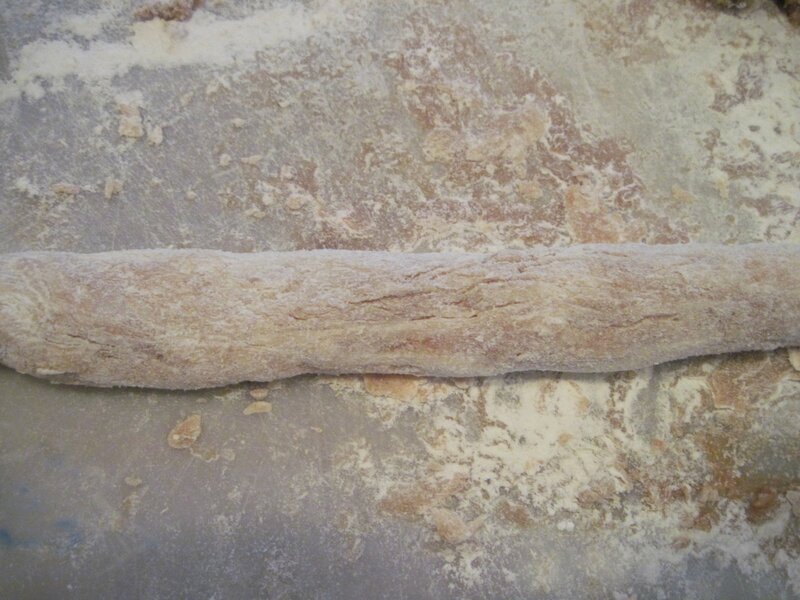 Pull off pieces of dough the size of medium lemons, roll each about 8 inches long, and wind it into a coil. 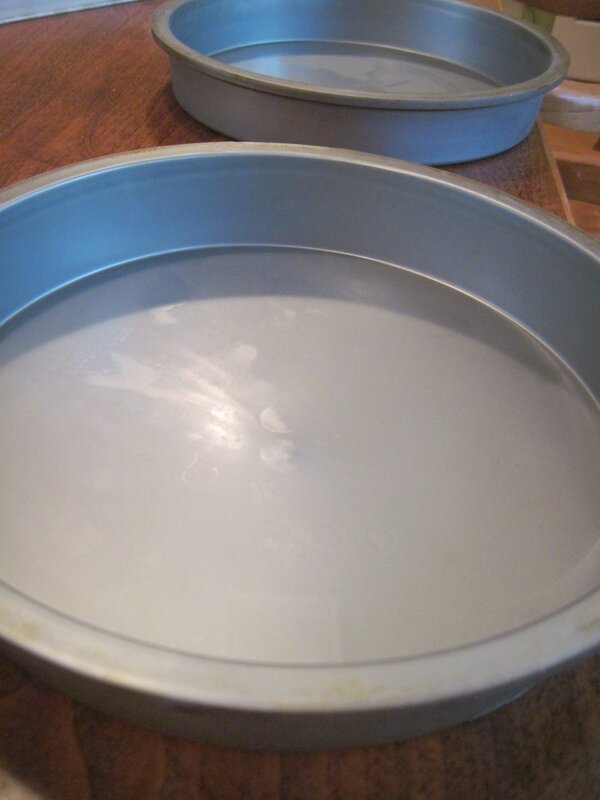 Arrange on two buttered 9-inch cake pans, cover, let rise until double in bulk, then brush tops with milk. 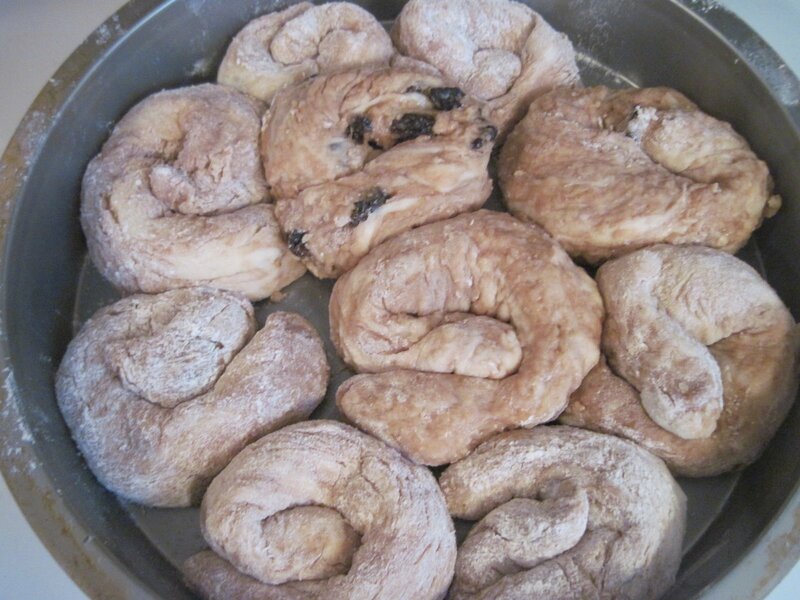 Preheat oven to 375 degrees F. Bake rolls for 25 minutes. 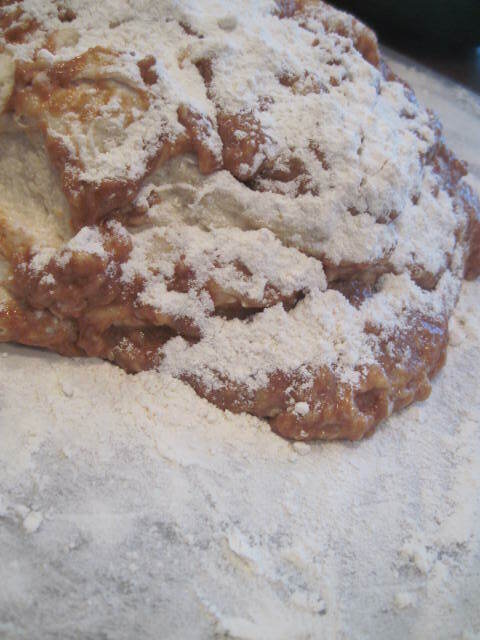 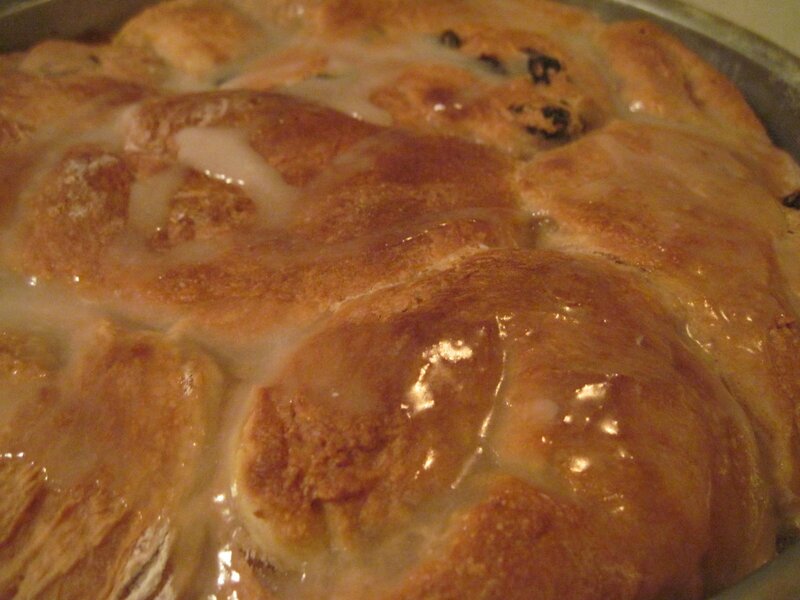 Mix the confectioners’ sugar and vanilla with 4 teaspoons warm water to make a glaze, and spread a thin layer on rolls immediately after removing from the oven.